Looking to chow down on some Chinese fare? A new spot has you covered. Located at 82 2nd Ave. (between 1st Ave. & 5th St.) in the East Village, the new addition is called Chong Qing Xiao Mian II. This newcomer specializes in authentic Chinese food, such as mala (spicy) noodles, special hot dry noodles, house-made beef noodles, and fried dumplings. On the noodle menu, look for dishes like mala noodles with ground pork, scallion, Shanghai bok choy and parsley; noodles with shredded pork, pickled sour mustard and scallion; and hot dry noodles with purple cabbage, yellow beans, carrot, and cucumber. Expect to see a variety of Sichuan-style mao cai bowls, where fresh vegetables are plunged into a spicy hot broth, similar to hot pot. Offerings include a vegetarian version with kelp, fungus, mushroom, dry soy bean sheet, lotus root and broccoli; and a sliced beef one with cow leaf and lotus root. The newcomer has gotten good reviews thus far, with a four-star rating out of four reviews on Yelp. E L., who was among the first Yelpers to review the new spot on January 5th, said: "This place is legit. So authentic. Delicious. Amazingly spicy in all the right ways. I've had mala tang (soup) at a million Sichuan restaurants, but never experienced it as a ramen soup and it knocked my socks off." 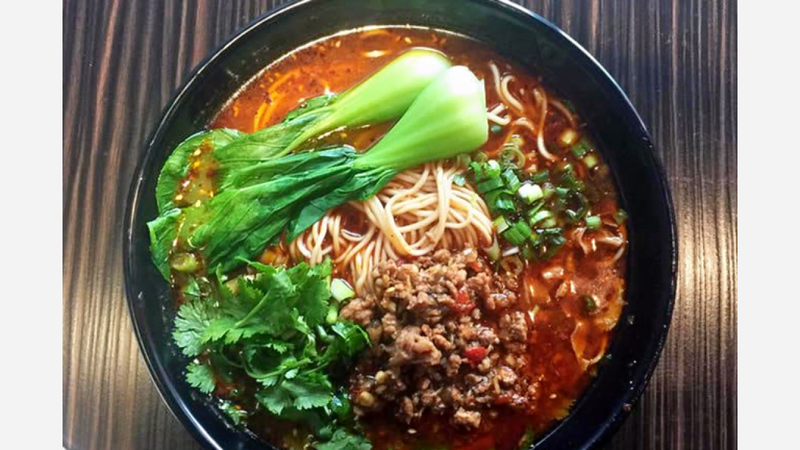 Yelper Alina Z. added: "The noodles are such authentic Chong Qing flavor. Dry pot is also very delicious and abundant. Only wish the appetizer/cold dish can be less sweet." And Iris L. said: "Really good! I ordered hot sour noodles, which reminded me of the noodles I had back home." Chong Qing Xiao Mian II is now open at 82 2nd Ave., so stop in to try it for yourself.